Editor's note: This article is based on materials distributed for the press conferences at RSNA 2015 in Chicago. Some athletes who experience sports-related concussions have reduced blood flow in parts of their brains even after clinical recovery, according to a study. The results suggest a role for MRI in determining when to allow concussed athletes to return to competition. Concussions affect millions of people each year. Sports are second only to motor vehicle crashes as the leading cause of traumatic brain injury among people between 15 and 24 years old, according to the National Institutes of Health. Decisions to clear concussed athletes to return to action are typically based on symptoms and cognitive and neurological test results. However, there is increasing evidence that brain abnormalities persist beyond the point of clinical recovery after injury. To find out more, researchers from the Medical College of Wisconsin in Milwaukee studied concussed football players with arterial spin labeling MRI to detect blood flow in the brain. "This measurement of blood flow is fully noninvasive, without radiation exposure," said study author Yang Wang, MD, PhD, an associate professor of radiology at the Medical College of Wisconsin. "We use arterial blood water as a contrast tracer to measure blood flow change, which is highly associated with brain function." Wang and colleagues studied 18 concussed football players and 19 nonconcussed players. They obtained MRI of the concussed players within 24 hours of the injury and a follow-up MRI eight days after the injury and compared results with those of the nonconcussed players. Clinical assessments were obtained for both groups at each time point, as well as at the baseline before the football season. The concussed players demonstrated significant impairment on clinical assessment at 24 hours postinjury, but returned to baseline levels at eight days. In contrast to clinical manifestation, the concussed players demonstrated a significant blood flow decrease at eight days relative to 24 hours postinjury, while the nonconcussed players had no change in cerebral blood flow between the two time points. "In eight days, the concussed athletes showed clinical recovery," Wang said. "However, MRI showed that even those in clinical recovery still had neurophysiological abnormalities. Neurons under such a state of physiologic stress function abnormally and may become more susceptible to second injury." While the reasons for reduced cerebral blood flow in concussed athletes are still under investigation, the findings may have important implications for decisions on when athletes are ready to return to play after head injuries, according to the study's principal investigator, Michael McCrea, PhD, a professor of neurosurgery and neurology and director of brain injury research at the Medical College of Wisconsin. "For years, we've relied on what athletes are telling us," McCrea said. "We need something more objective, and this technology may provide a greater measurement of recovery." The Medical College of Wisconsin scientists are continuing their research as one of the Phase II winners of the Head Health Challenge, an initiative from the National Football League and General Electric to develop ways to speed diagnosis and improve treatment for concussion. McCrea and his team are also cochairing the Concussion Assessment, Research and Education Consortium (CARE) project, a major national effort that will enroll more than 30,000 college athletes, making it the largest study of concussions to date. Researchers have developed software for the Microsoft Kinect gaming console that measures body part thickness and checks for motion, positioning, and beam adjustment immediately before X-ray imaging, according to a feasibility study presented at RSNA. "Patients, technologists, and radiologists want the best quality X-rays at the lowest dose possible without repeating images," said Steven Don, MD, an associate professor of radiology at Mallinckrodt Institute of Radiology at the Washington University School of Medicine in St. Louis. "This technology is a tool to help achieve that goal. Patients will benefit from reduced radiation exposure and higher quality images to ensure diagnostic accuracy." Microsoft Kinect was originally developed as a motion sensor and facial and voice recognition device for the Xbox gaming console that enabled players to play games without a standard controller. Subsequently, the technology has been adapted for select nongaming applications. For this feasibility study, Don and colleagues combined the technology of the Microsoft Kinect 1.0 with proprietary software to address common problems that affect imaging results, including body-part thickness and motion. "To optimize radiation exposure and image quality, X-ray technique should be set based on body-part thickness," Don explained. "Use of traditional calipers is time-consuming, intrusive, and sometimes frightening to young children. Using Microsoft Kinect with this software, we can measure body-part thickness automatically without patient contact." Additionally, the software provides valuable information on motion and positioning with respect to automatic exposure control sensors, image receptors, and body parts within the X-ray field. Through real-time monitoring, the software alerts the user when any of these factors do not match the requisition—such as the wrong body part—or could compromise image quality. This fail-safe helps to reduce or eliminate common causes of unnecessary repeat image acquisition. "This device can help technologists and radiologists achieve the radiation dose goal of ALARA, As Low As Reasonably Achievable, while enhancing the quality and consistency of X-ray images," Don said. 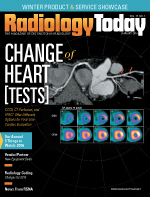 Don noted that the radiology research community is constantly improving imaging for patients to ensure accurate diagnoses while striving to reduce dose. Using a mobile MRI truck, researchers followed runners for 4,500 km through Europe to study the physical limits and adaptation of athletes over a 64-day period, according to a study presented at the annual meeting of RSNA. "The fact that ultradistance running places stress on the body has been well documented," said Uwe Schütz, MD, a radiologist and specialist in orthopedics and trauma surgery in the department of diagnostic and interventional radiology at the University Hospital of Ulm in Germany. "Our research provides detailed information on how the various organ systems change and adapt in response to that stress." The Trans Europe Foot Race (TEFR) took place from April 19 to June 21, 2009. It entailed running 4,487 km starting in southern Italy and ending in the North Cape in Norway without any day of rest. Forty-four of the runners (66%) agreed to participate in the study. The research team's most important tool was a 1.5 Tesla MRI scanner mounted on a mobile unit, the only one of its kind in Europe at that time. Each participant was scanned every three to four days, resulting in 15 to 17 MRI exams over the course of the race. The runners were also randomly assigned to additional examinations, and protocols were created for daily urine and blood samples and other tests. The results showed that with the exception of the patellar joint, nearly all cartilage segments of knee, ankle, and hind-foot joints showed a significant degradation within the first 1,500 to 2,500 km of the race. "Interestingly, further testing indicated that ankle and foot cartilage have the ability to regenerate under ongoing endurance running," Schütz said. "The ability of cartilage to recover in the presence of loading impact has not been previously shown in humans. In general, we found no distance limit in running for the human joint cartilage in the lower extremities." MRI investigations of the soft tissues and bones of the ultrarunners' feet showed a significant increase of the diameter of the Achilles tendon. "We found no relevant damage to bone or soft tissues in the 44 runners," Schütz said. "The human foot is made for running." The researchers also looked at how ultramarathon running affects brain volume. Baseline comparison of TEFR participants and controls revealed no significant differences in gray matter volume. At the end of the race, MRI of the brain revealed about a 6.1% loss of gray matter volume in the runners. After eight months, gray matter volume had returned to normal levels. Although the finding on gray matter volume loss while running is astonishing, Schütz said, it is not cause for alarm. A study presented at RSNA found that low-income women in Medicaid expansion states in the United States are more likely to have a breast screening performed than those in nonexpansion states. As part of the Affordable Care Act, states had the option of expanding Medicaid to provide coverage to people under 65 years of age living at up to 133% of the federal poverty level. California, Connecticut, Minnesota, New Jersey, and Washington, as well as Washington, D.C., were among the first to adopt and implement the expansion by 2011. "While increased use of screening mammography has significantly contributed to improved detection of breast cancer, substantial disparities in breast cancer screening exist among populations in the country," said the study's lead author, Soudabeh Fazeli Dehkordy, MD, MPH, from St. John Providence Hospital in Southfield, Michigan. "We sought to determine whether increasing access to health insurance through Medicaid expansion has resulted in improved breast cancer screening adherence." Using data from the 2008 and 2012 Behavioral Risk Factor Surveillance System and adjusting for age, education, income, and race, the analysis showed that low-income women in expansion states had a similar likelihood of being screened to those in nonexpansion states in 2008. However, in 2012, after the early expander states implemented their programs, low-income women in expansion states were 25% more likely to be screened for breast cancer than those in nonexpansion states. "Understanding the impact of Medicaid expansion on breast cancer screening rates in early expander states can provide valuable insights that can be very useful to both state and federal policymakers when considering key health policy," Dehkordy said. Breast density may not be a strong independent factor for breast cancer risk, according to a new study presented at RSNA. Prior research has shown an association between breast density and breast cancer. In addition, cancers in dense breast tissue are more difficult to see on mammograms. As a result, some women with dense breasts are advised to get supplementary screening with ultrasound or MRI. Some states have enacted legislation mandating breast density reporting to women undergoing mammography. "In our study, we found that there was no significant difference in breast density between breast cancer patients and the control group in the screening program," said Natasa Katavic, MD, from the department of radiology at Health Center Osijek in Osijek, Croatia. For the study, Katavic and colleagues looked at data from 52,962 mammography exams performed in women aged 50 to 69 over five years at five different mammography facilities. Women in Croatia in this age group are invited every two years for mammography by the country's Institute of Public Health. "We wanted to find out if breast cancer patients had more dense breast tissue than the healthy women," Katavic said. "Also, we wanted to see what the percentage of dense breasts was in our postmenopausal population and, consequently, determine the value of mammography screening for this group." The majority of screened woman had low breast density. Of the 230 detected breast cancers, almost one-half were from the group with the lowest ranked breast density, while slightly less than 3% came from women in the highest breast density category. When the researchers matched the women who had a detected cancer with control participants of the same age and from the same locales who did not have cancer, they found no significant difference in mammographic density. Women with low mammographic density made up 83% of the patients in the breast cancer group, compared with 89% in the control group, while high mammographic density was found in 17% of the breast cancer patients and 11% of women in the control group. The study did not find a strong association between higher mammographic densities and a higher risk of breast cancer among postmenopausal women, according to Katavic. "Our study suggests that breast density alone might not be a strong independent risk factor for breast cancer," she said. "In risk assessment, all risk factors should be considered before decisions on additional examinations." Researchers in the Netherlands studying thousands of healthy adults have found a connection between very early stages of brain and heart disease. "Heart and brain diseases are big problems in aging individuals and are expected to grow even more," said Hazel Zonneveld, MD, MSc, from the department of epidemiology and radiology at Erasmus University Medical Center in Rotterdam, Netherlands. "We know that myocardial infarction, heart failure, and atrial fibrillation are associated with an increased risk of stroke and dementia. Our study investigated whether the heart-brain link is present at an earlier stage of disease." Zonneveld and colleagues analyzed data from 2,432 participants in the Rotterdam Study (57.4% women, mean age 56.6 years), a prospective, population-based study designed to investigate chronic diseases in Rotterdam's aging population. Participants with overt heart disease, dementia, and brain infarcts (strokes) were excluded from the analysis. Participants in the study underwent brain MRI, which included the use of diffusion tensor imaging (DTI), and blood testing to measure levels of N-terminal pro b-type natriuretic peptide (NT-proBNP), which is primarily used to help detect, diagnose, and evaluate the severity of heart failure. "NT-proBNP is released into the bloodstream in response to myocardial wall stress," Zonneveld said. "Studies have demonstrated that NT-proBNP provides information on cardiac dysfunction even in the absence of overt heart disease." The researchers evaluated the brain MRI results for markers of early brain disease, including a loss of brain volume, microstructural changes, and white matter lesions, which indicate areas of cells that have been damaged by injury or disease. "Diffusion tensor imaging gives us information on the microstructural organization of the brain's white matter," Zonneveld said. "It is thought that microstructural brain changes precede brain changes, such as white matter lesions." "The brain volume loss was predominantly in the gray matter," Zonneveld said. According to Zonneveld, this study is the first to demonstrate an association between NT-proBNP and the microstructure of the brain.